It was love at first sight. Rose macarons! You’re looking at what inspired a floral dessert theme this month. I’m not sure I can convey my excitement over macarons; rose macarons in particular. I have always loved the cookies, but rose flavored ignited an obsession. 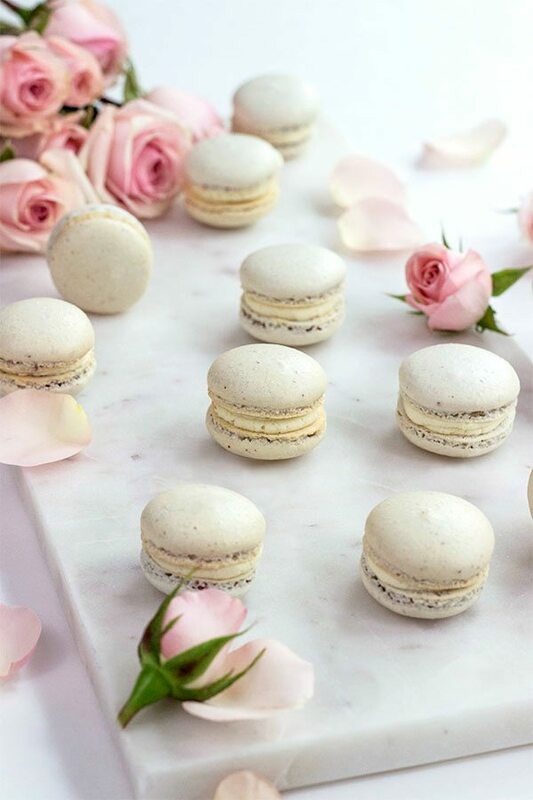 With delicate almond meringue cookies and perfect rose buttercream centers – I was destined to make these naturally sweet. 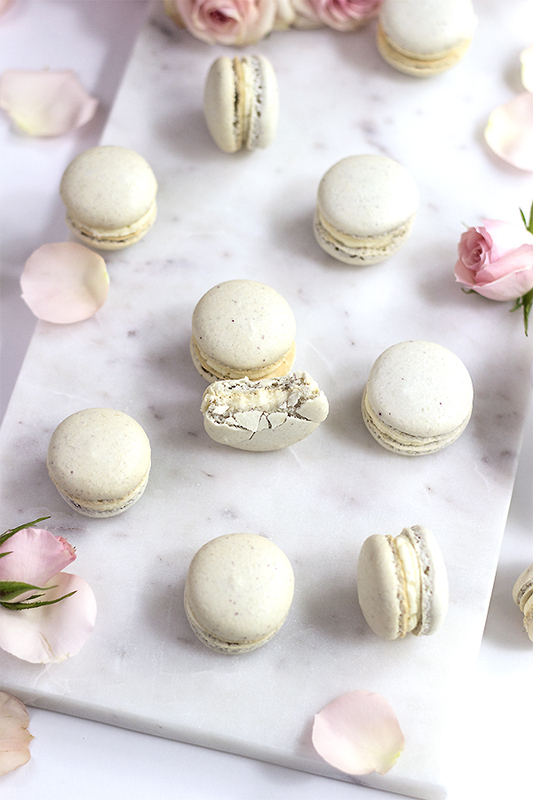 These rose macarons are an extra special treat being sweetened with a natural white sugar alternative. Macarons are a strong rooted tradition and I wanted to create something that honored that. 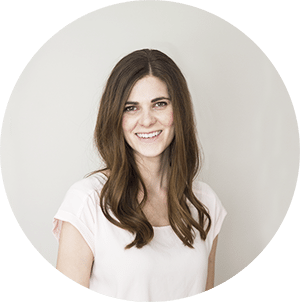 I wanted to give you readers a natural recipe while providing you macaron success! 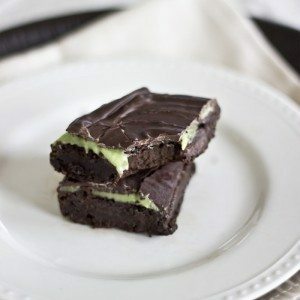 These may not be a true sugar-free, egg-free, vegan confection but they are a natural version of a recipe that works well and works consistently. This is a recipe that will have you making these again and again and, in my case, five times over. In my naturally sweet efforts to create the classic patisseries, I used a new sweetener. It’s Whole Earth Sweetener – it’s a blend of raw sugar and stevia. I was eager to test this product with these rose macarons for two reasons. 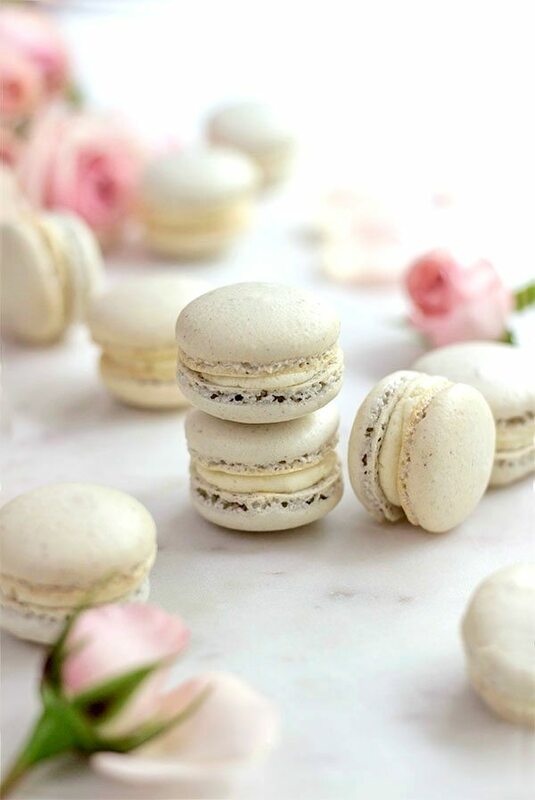 If you’re familiar with macaron recipes, you know macarons require a granulated sugar to whip into the meringue and a powdered sugar to be sifted with the almond flour. Whole Earth Sweetener worked for both! Blended with a bit of cornstarch, it mimicked powdered sugar PERFECTLY and I was able to have the perfect sweetener for the rose buttercream as well. I was happy that it was an unrefined sugar – and less of it blended with stevia. It was so perfect, I felt confident it would hold up well with some beet juice and raspberry powder as a natural food coloring. The pink presented itself just ever so faintly for a pretty “rose gold” appearance. 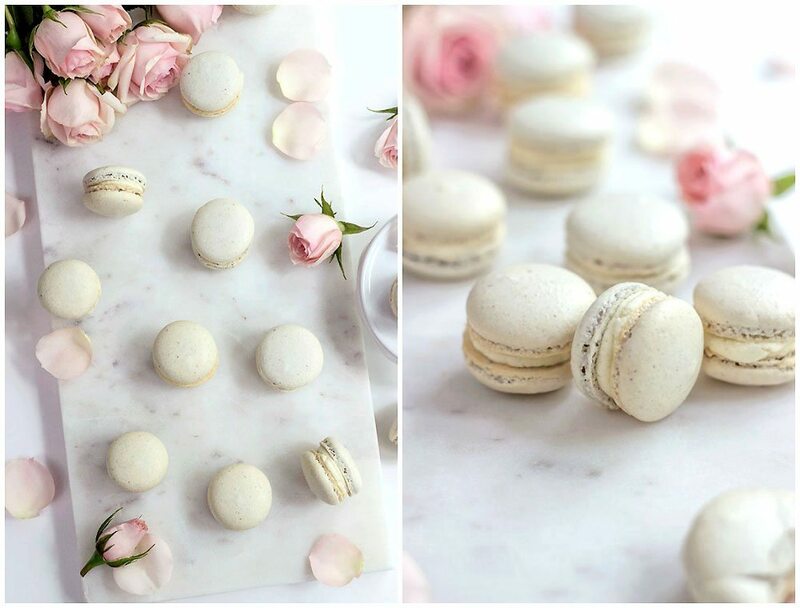 These macarons have a sweet rose flavor and happen to be dairy-free and gluten-free! They just make me happy. Try them and you will see what I mean! They have that perfect crisp, crunchy shell and the most divine centers. When the batter’s folded correctly, my macarons turned out dense and chewy in the center without any hollowness. Even if you don’t get them perfect, homemade macarons are so much better than store-bought because they are fresher! They are also a lot less expensive than any bake shop. Besides, their faint pink appearance and delicate lace feet are sheer bliss. Piped with a soft rose buttercream, these almond pastries become incredible little bites. Enjoy each and every one! Place 1 cup plus 2 tablespoons Whole Earth Sugar in a blender with 1 teaspoon cornstarch. Blend until a fine powder. You will use 120 grams for the macarons and the rest will be for the buttercream. In a large bowl, sift together the almond flour and 120 grams powdered sugar. Set the bowl aside. Reserve the rest of the powder sugar mix for the buttercream filling if you choose to fill with that. Crush the dried raspberries so they are a fine powder and sift the mixture to remove any seeds. Add 1 teaspoon of the raspberry powder to a small bowl and add the rose water and beet juice. Mix to form a soft paste. Set aside. Now for the macaronage step! What’s that? It’s the method of folding in the almond/sugar mixture into the egg mixture. Carefully dump the almond/sugar mixture to the eggs. We want to incorporate the flour by folding it in so it’s a smooth, lava-like batter. Many people count in their head each stroke so they can gage how much is enough. For this recipe, you can count about 30-40 strokes. Make sure to fold in all the batter. You don’t want to over or under mix the batter – consistency of the batter is key to forming macarons! In my experience, I think under mixing is a little more forgiving because when adding the batter to the piping bag and piping cookies, you are naturally deflating the batter a bit. That said, you want a nice thick batter that still moves off your spatula but holds a shape for several seconds in the bowl. Transfer batter to a piping bag, fitted with a large circle tip. I use a Wilton 2A. Prepare two baking trays with parchment paper. Get a third cooking sheet out so you can double layer the tray in the oven. This protects the macarons bottoms. If using a convection oven, please do not double layer. Pipe macarons in small circles, in 1 inch or 1 1/2 inches. I like to pipe at a 90 degree angle to avoid any tails. Once piped, firmly tap the baking sheets against your counter, at least 3 or 4 times to relieve any air pockets in the cookies. Pre-heat oven to 300 degrees. Let these cookies sit and rest for 20-25 minutes. This is important for allowing macarons to form that crisp coating and beautiful lace edge called “feet”. For 1 inch macarons, bake about 17 minutes. For 1 1/2 sized or slightly larger macarons, 18-19 minutes is perfect! Allow the cookies to cool on the trays for about 10 minutes before attempting to frost. Frost with the following buttercream recipe. In a mixing bowl, beat the butter and cream cheese together until smooth. Add the coconut flour and stevia. Mix in the powdered sugar, 1/2 cup at a time to desired consistency and sweetness. Add the rose water last, to desired flavor. It can be strong, so please add 1/4 teaspoon at a time. This buttercream can be adapted to your tastes, so please play around with the rose flavor and sugar to what you like best. Pipe onto one cookie and top with a second cookie shell. Some say that macarons are the best the second day, but I think if they are baked properly, they are delicious anytime! To keep them fresh, store in an airtight container at room temperature. Macarons can also be frozen for up to 4 weeks. Enjoy! To prepare for these macarons, I watched this video and used the recipe from this site. My method came from various recipes and sources and I really think this method creates beautiful macarons! That said, I have made these macarons many times and each time I make them, they get better and better. Like many bakers, my first attempt was not perfect so be patient if your first attempt isn’t either! Please test your oven temperature before trying this recipe so you can verify it’s at 300 degrees. For best success and ease, please use a stand mixer and kitchen scale. Many macaron experts have taken the guess work out of these cookies with an electric mixer, timer and good scale. Follow the recipe and you’ll see how easy it is! Some recipes claim you do not need to allow macarons to sit to rest before baking, but I really think it aids in great feet. Please let these rest for at least 15 minutes (at least while your oven heats up!). I promise it’s worth the wait. Do not double layer your cookie trays if using a convection oven – it will prevent the macarons from forming a nice golden edge. Also be sure to use a firm spatula for macaronage step. If you make these, I would LOVE to see your creations!! Please tag me on instagram or facebook and use the hashtag #naturalsweetrecipes or #FloralSweetTreats so I can see them! How many carbs is in a macaroon? And do you have to use rose and beet? 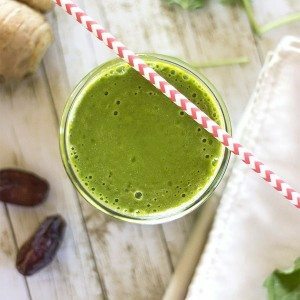 Any chance this recipe works with erythritol, if so how many grams? 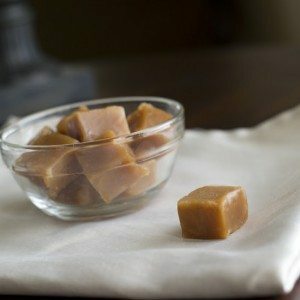 How is Whole Earth Sugar not refined? Unless a sweetener can be eaten in it’s original form (unpasteurized honey, fruits and vegetables), it’s refined. I’m having such a difficult time finding recipes without wasting a ton of time sifting through all the deceptive recipe titles. Argh! 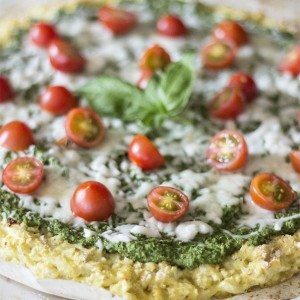 Do you have any recipes that are actually refined sugar free? I would love to try them if you do. Thanks. I think because it’s free from refined sugar. It’s sugar free, made with stevia and monk fruit. Healthy macarons?!?!?! You go girl!!!!! I love macarons but have never tried them because they seem so hard to make. You have given me courage to try. Beautiful and I bet they are lovely tasting!